An addition to the all-new Vauxhall Insignia range, as the brand looks to attract customers from different market segments. Adding a ‘soft-roader’ to the range is one way of appealing to potential buyers, as is the lure of four-wheel-drive. 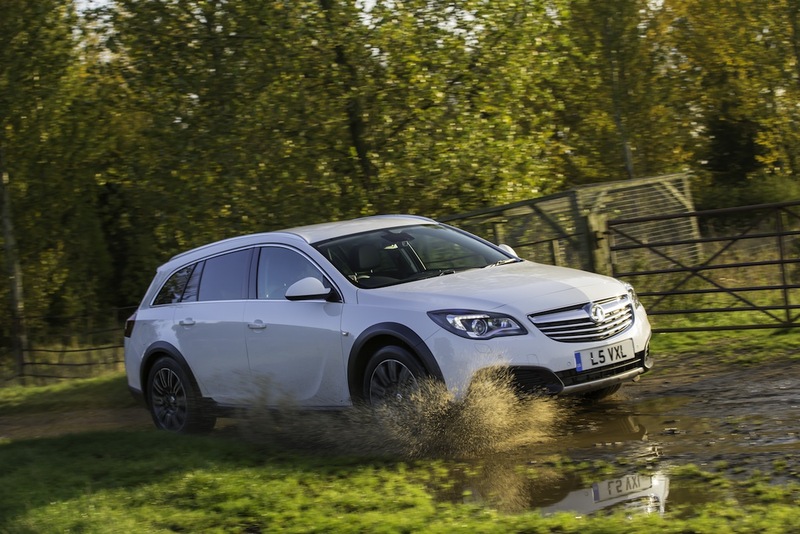 The Country Tourer has more ground clearance than the standard car and, says Vauxhall, ‘tougher styling’. This doesn’t strictly equate to more plastic mouldings surrounding the vehicle, the styling changes on the Country Tourer are more subtle than that. The main alterations are around the side sills, wheel arches and lower body sections. 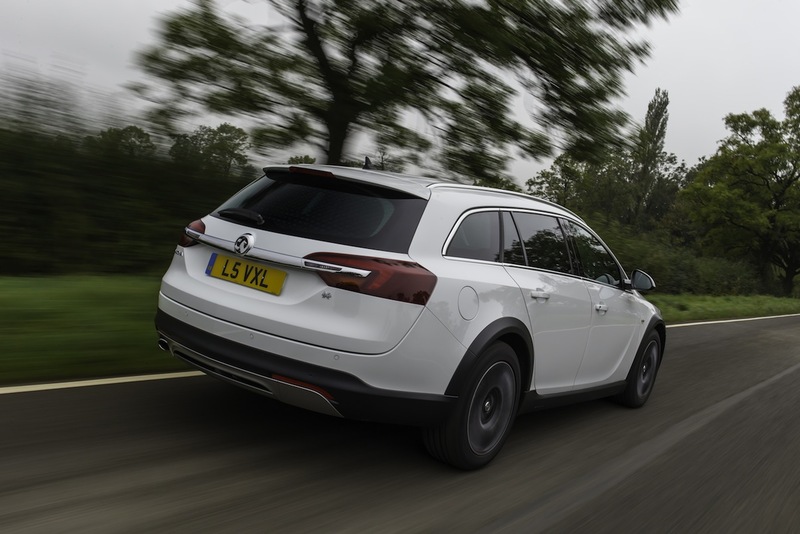 With the Country Tourer, which is expected to account for 5% of Insigina sales, Vauxhall has the likes of Audi’s A6 Allroad and the Volkswagen Passat Alltrack in its sights. The key factor in the battle with those two models will be on price, which Vauxhall says it can better by as much as £5,000 and £2,400 respectively. Drivers of the Skoda Octavia Scout and Volvo XC70 may also be interested in how the new car performs. Buyers have the choice of two Country Tourers, each powered by a Vauxhall 2-litre CDTi engine. There is a 161bhp version available with manual and automatic gearbox options, while a 193bhp variant is automatic-only. The core model will be the lower powered one, which still offers respectable performance. With 258lb.ft of torque available, this version has a zero to 62mph time of 10.9 seconds (11.4 seconds for the auto), decent considering the car’s 1,843kg kerbweight. Moving inside the car, Country Tourer drivers will experience a re-designed centre console layout, with a reduction in the number of buttons and dials in front of them. This added simplicity is welcome, as is the 8-inch colour touchscreen, complete with touchpad, to control audio, media and navigation systems. Working out the menus is not the most straightforward, although not to the point having to refer to the manual as we’ve had call to resort to in other Vauxhall models. The Country Tourer offers smooth gearchanges in both the automatic and semi-automatic modes. The car did, at times, feel like it was labouring in first and second gear, but soon settled and was relatively quiet on both town and rural routes. Steering offers good feedback and is responsive to inputs at all speeds. 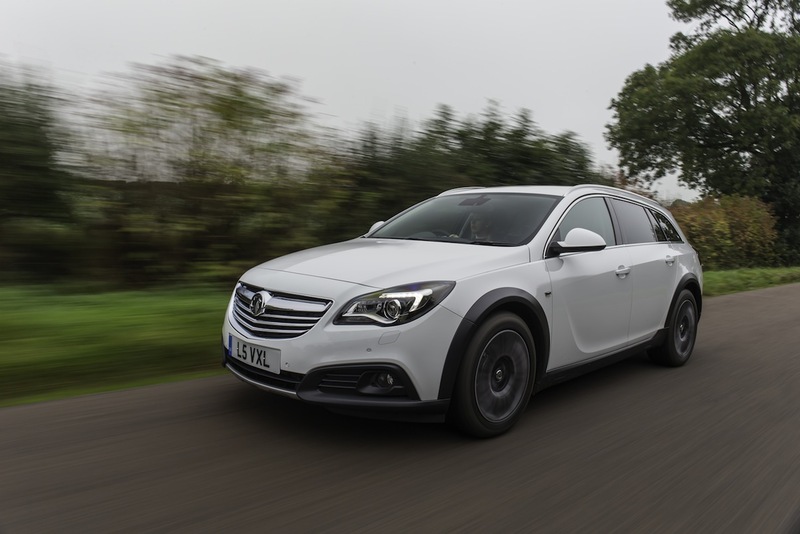 Having become more of a drivers’ car, the decent ride and handling set-up offered in the standard Insignia has transferred to the Country Tourer, making for a comfortable driving experience in vastly improved surroundings. The addition of a 4×4 capability to an Insignia might not seem the most natural fit, but the company believes that its adaptive drive system, together with a refined chassis for time spent away from the tarmac, will appeal to an untapped area of the market. Putting the car’s off-road credentials to the test on some muddy tracks, the Country Tourer impressed and gave a great deal of confidence that it would be able to traverse much tougher terrain if required. Vauxhall says it is unsure about how many of its customers will choose to take the car off-road, but maintains that merely having the option will be enough to attract plenty of interest. A decent addition to the Insignia line-up and Vauxhall will be hopeful of building on its position of segment leader. Expect many versions to find themselves on the school run as well as in company fleets. However, with the attraction of a more economical, and company car tax-friendly, two-wheel-drive version arriving in 2014, the latter group may wish to wait to make the switch. The car’s abilities away from the tarmac. Proof that the changes to the standard Insignia model are much more than purely cosmetic. The new infotainment system might be a lot clearer and easier to navigate, but it does take some getting used to.